Now I know you’re thinking that I am dressing up something French as British by saying ‘potted chicken livers’ instead of pâté but the British have been potting meats like beef, game and salmon, and also liver, for a long time now. Potting helps preserve meat if covered with an airtight layer of clarified butter and kept in a cool place. I am going to write a post very soon on potting meats as well as some other methods of meat preservation soon; the point of this post was for me to write a little diatribe about how the word pâté has the same roots as pot so I could feel a little smug and say that I was right. You know like those people who say raspberry coulis, when they just mean sauce. It turns out that I was a little wrong: my French is worse than pidgin and I just assumed the two words had the same root. I am blaming Elizabeth David for this gaff: she talks of potted chicken livers as though that’s what everyone calls them down her way. So as it turns out that the word pâté has the same roots as the words pastry and pasta, coming from Greek words meaning ‘small particles and fine textures’ according Harold McGee in his tome On Food and Cooking. So potted livers have a fine texture as they are a mixture of butter and liver, and pastry is made up of particles of flour and butter. Actually, pâté started life more as a chopped assemblage of meats, rather than the refined smoothness we think of today. Oddly enough pâté and pie eventually became interchangeable words in medieval times because chopped meat was often cooked in pastry on both sides of the English Channel. As I have said before, the food histories of Britain and France blend so much there is sometimes no point in trying to discern between the two. 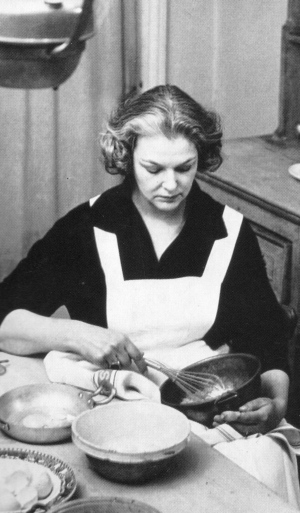 Anyway, I have chuntered on enough now so I shall give you two recipes for potted chicken livers. First, a couple of mentions on preparation and storage: in this recipe the livers are fried in butter until pink, about 4 or 5 minutes on a high heat. It is very important that they should be cooked through and only slightly pink, not just seared and bloody and rare. I don’t want you coming down with Campylobacter or some other nasty food poisoning microbe. The other thing is to cover your potted livers with a good layer of clarified butter along with a lid or a covering of cling film, especially if being kept in a cold larder. The butter isn’t necessary if you are keeping them in the fridge, but they should be covered with something; butter is best though as it stops the livers from oxidising and turning from rich brown to muddy gray (oxidising is harmless, they’re still good to eat). To make clarified butter, slowly melt some butter in a saucepan over a low heat. Skim off any froth or foam with a spoon and then decant the butter into a jug making sure none of the butter solids get poured out with it. This is the classic recipe for potted chicken livers, though I find that there is never enough brandy. I use quite a lot compared to many recipes because I like to be able to taste it; brandy is very rich and it can be a bit too much, especially with all that liver and butter too. To counteract this is I add a good dose of piquant pickled green peppercorns which are available at delicatessen’s shops or online. You can of course omit the peppercorns and reduce the amount of brandy if you’d rather. Pick over the chicken livers, removing any large pieces of gristle, carefully removing any little green bile ducts that may be left on them. Get a frying pan nice and hot and add 2 ounces of the butter. When the butter stops foaming, add the livers and fry for a total of 4 or 5 minutes, turning them half-way through. The idea is for the livers to be cooked, but still a little pink, so cut inside one to check after 4 minutes of frying. Tip the livers and butter into a blender or food processor and return the pan to the heat whilst you deglaze it with the brandy. Tip the brandy and burnt bits into the blender along with the rest of the butter and blitz until the required smoothness (I like mine very smooth). Mix in the peppercorns and the seasoning before potting in one large earthenware pot of several smaller ones. Pour over the clarified butter to form an airtight seal. My attempt at a recipe rather more Scottish in its flavours, which I think works very well. These livers are much more savoury and less rich than in the recipe above: a good shot of gin provides a subtle aromatic bitter hit of juniper, and the fresh herbs mellow it nicely. The method is exactly the same as the above except 2 teaspoons each of finely chopped rosemary and thyme are fried along with the livers. Of course exchange the brandy for the gin and omit the pickled peppercorns. I’ve made a brandy version of potted chicken livers, but I’ve never even heard of pickled peppercorns! 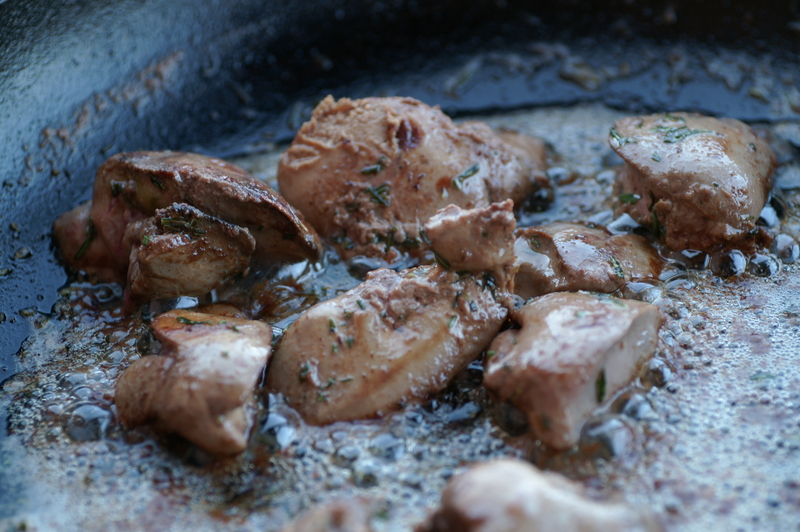 I like the idea of gin/rosemary/thyme with chicken livers, as well. Sounds delicious. Pickled peppercorns are the best – they have all the pepper flavour but with little of the heat. Very nice. 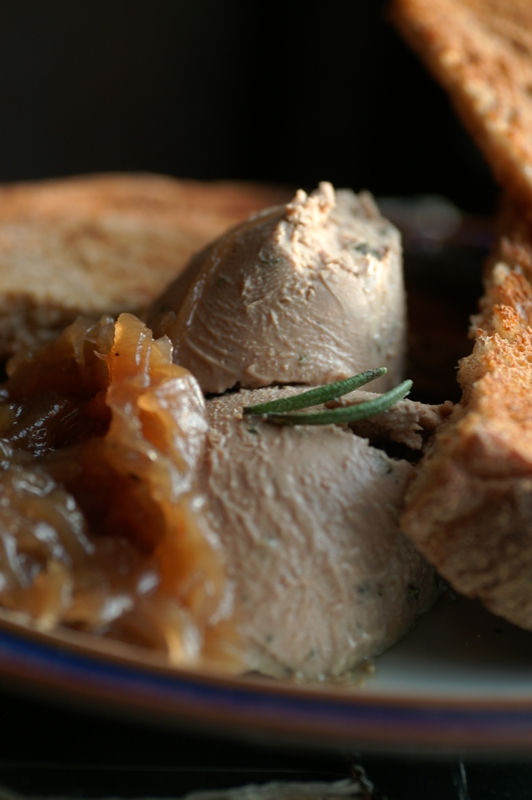 The gin does work well – especially if you like the taste of pate, but can’t handle the richness. The gin really tames it.